Birthday marketing is a marketing strategy to nurture and strengthen relationships with the customers by giving something for free on the customers’ birthday or during a birthday month. 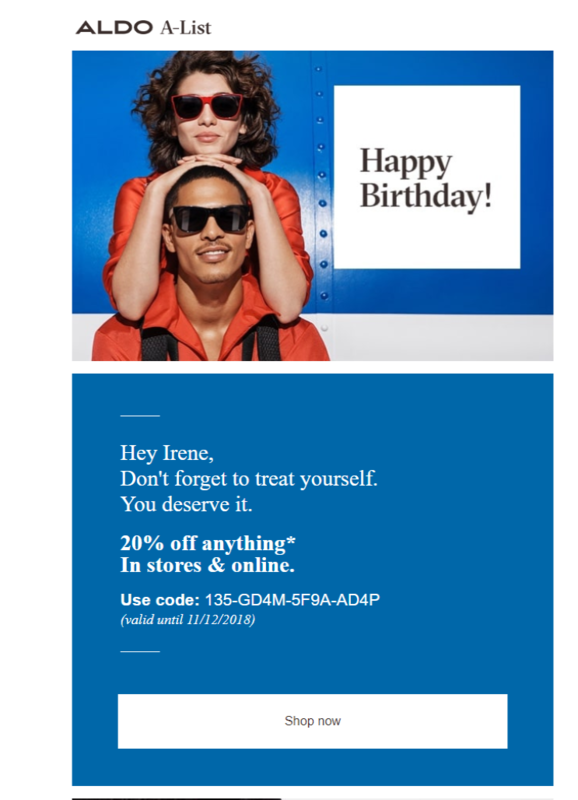 Birthday marketing occurs as personalized and automated emails, triggered by each customer’s birth date which provides them with a special positive experience. Has high click-through rates. Birthday marketing campaigns produce a significant CTR which gets to 13%. Nurtures clients. Birthday marketing is an effective tool for client nurturing. A high-quality birthday campaign results in loyalty to the brand, as it shows the customers that the brand cares. Easy to do. 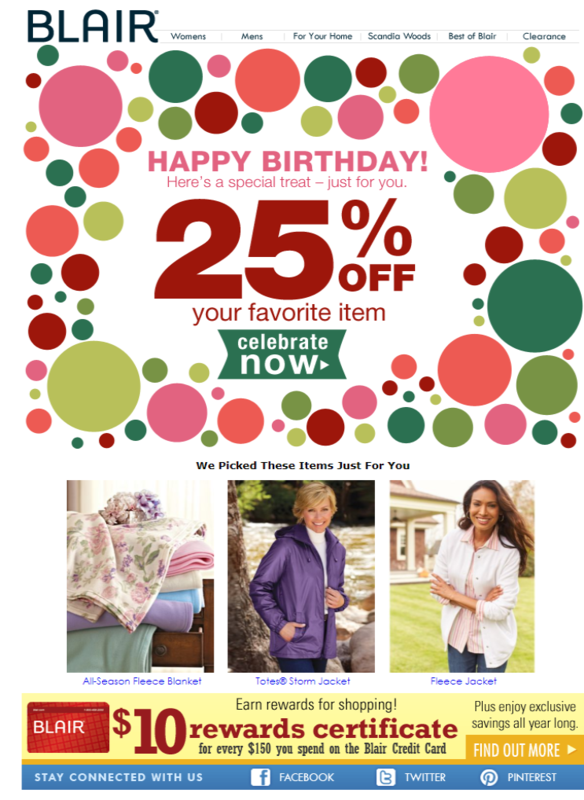 A birthday email campaign is produced once and then works automatically all year round. It can be edited anytime if necessary. 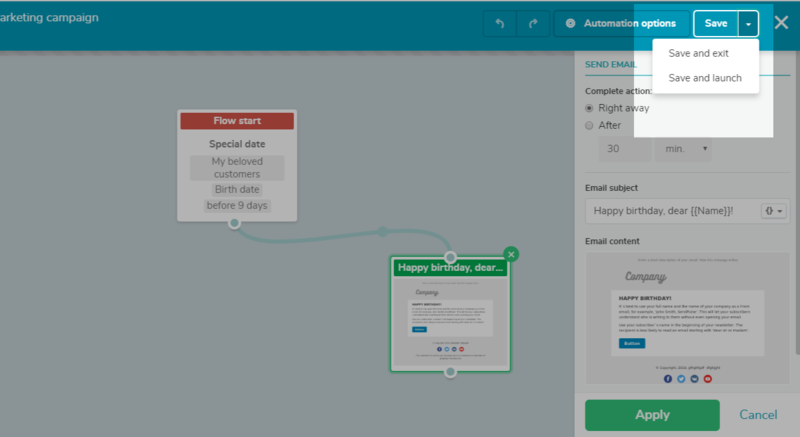 You can set up a birthday campaign with Automation 360. Improves brand’s reputation. Birthday marketing naturally engages people to share their positive experience with others verbally or through socials. It improves the brand’s reputation and builds a trustful relationship with the audience. Increases revenue. Thought out birthday marketing raises brand’s revenue in a long term perspective because it gradually turns subscribers into loyal clients, which are easier to communicate with and provide value to. 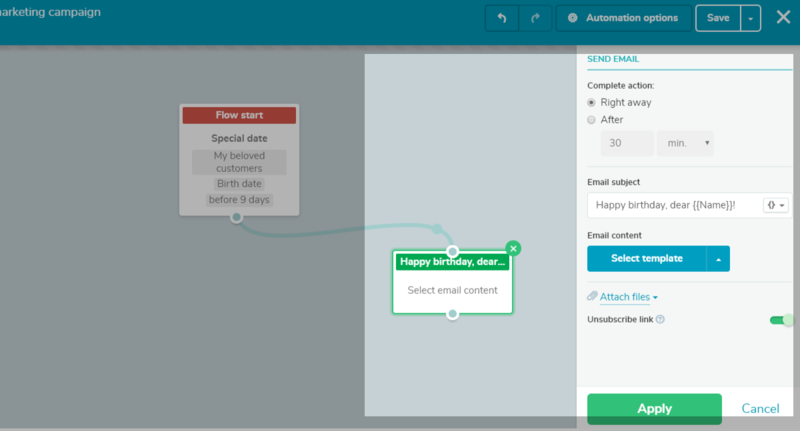 Building a birthday marketing campaign is not that sophisticated, because no knowledge of coding is required. 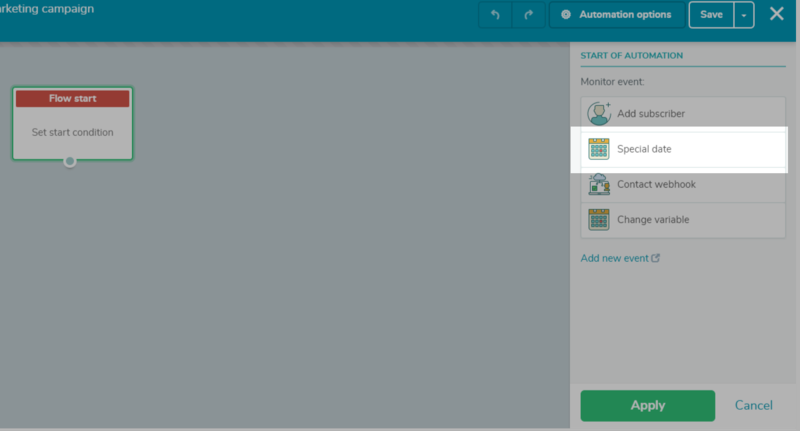 You can easily set it up with Automation 360. Mind, that you can’t simply add this variable — the information has to come from the subscription or it should be added to the mailing list in some other way. 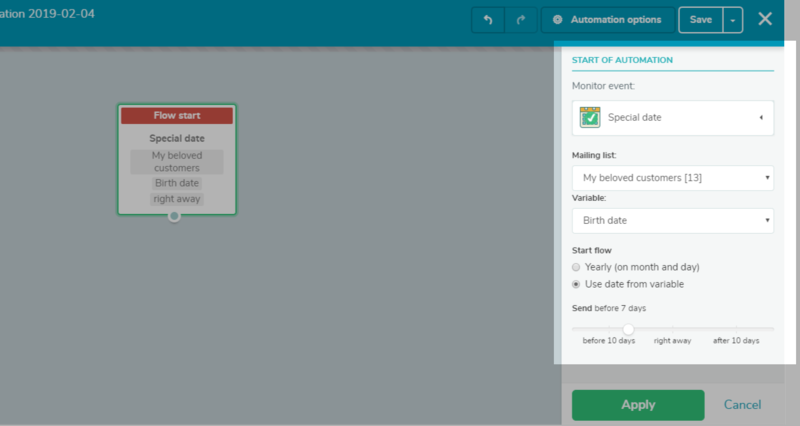 Select the necessary mailing list, variable "Birthdate" and the time for sending. Gather data beforehand. Apply birthday marketing in your general marketing plan and gather data on consumers’ birth dates as soon as possible. 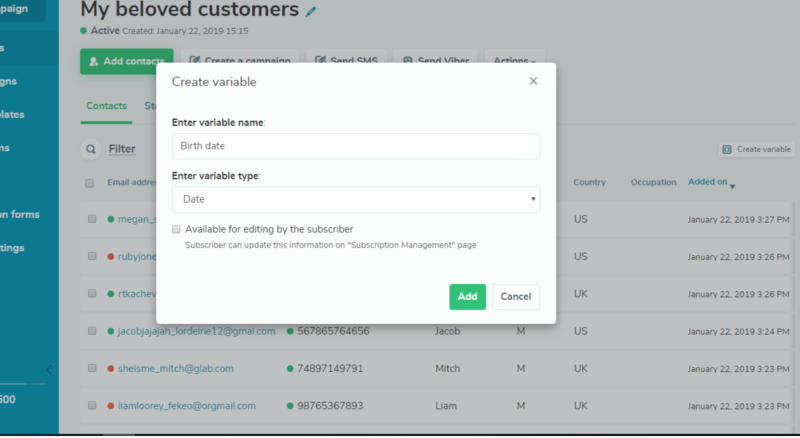 If you haven’t picked data yet, but want to implement birthday strategy in your business, use subscription forms and collect data. Emphasize "birthday", not "marketing". A 15% discount is not a gift, it’s marketing. Remember, birthday marketing is intended to strengthen relationships with the customers, not to magnify sales immediately. Feel confident to give something for free. Provide any kind of positive experience. It’s not necessary to present some material gift to a birthday customer. Just tell them how glad you are to have them with you. Wish them wealth and health. They will appreciate it. Get maximum from celebrations. Develop a long-term automated strategy. Besides birthday marketing, there is holiday marketing, which also increases loyalty and revenue during the common celebrations like Christmas, Thanksgiving Day, New Year. This email offers to choose any item with a 25% discount. 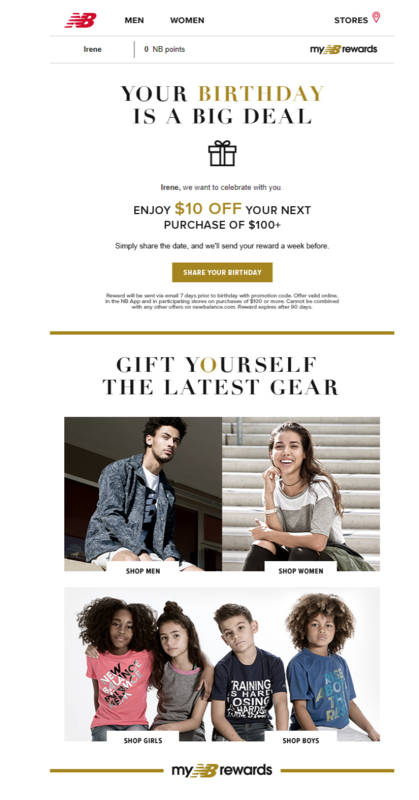 In this email, the brand offers a 20% discount for both instore and online shops. 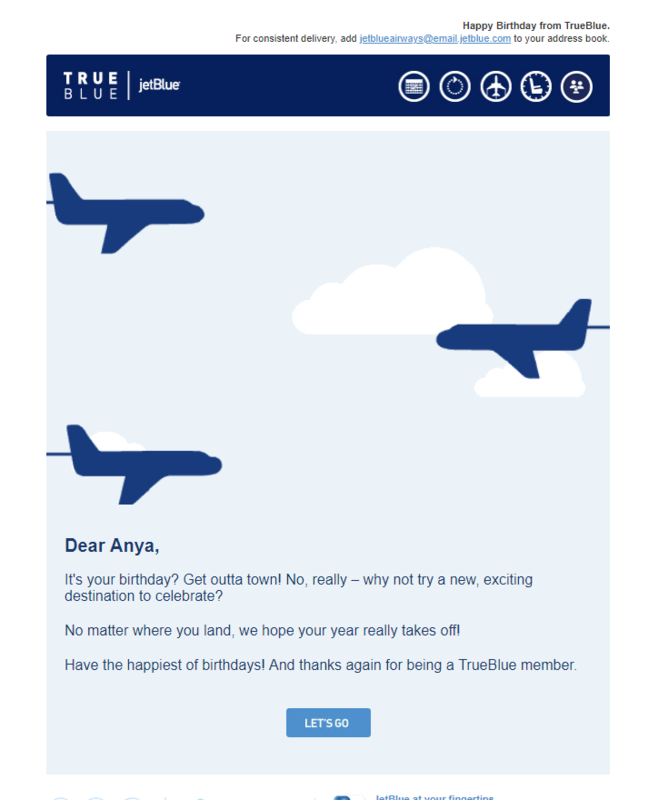 This is how companies engage subscribers to share their birth dates. This email is an example of how to present just good emotions without sales. Also searched with "Birthday marketing"
Rate this article about "Birthday marketing"
If you are interested in "Birthday marketing" you might be interested in our bulk email service.